A new FUT campaign featuring the UEFA Champions League and Europa League has arrived. Find out the FIFA 19 Road to the Final Squad and, for a limited time only, get unique Champions League and Europa League Dynamic Player Items that upgrade throughout the year based on the success of their teams in each competition. 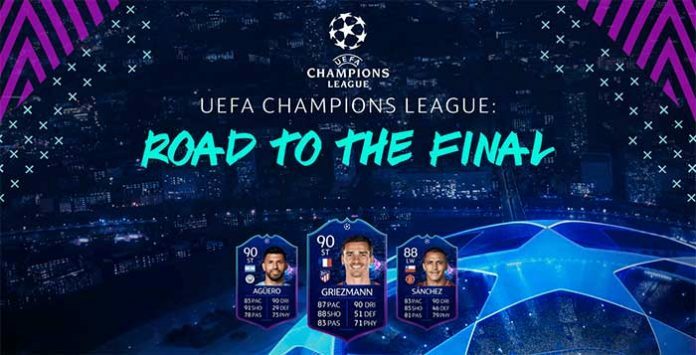 For the first time ever and a limited time only, unique UEFA Champions League: Road to the Final and UEFA Europa League: Road to the Final Dynamic Player Items will be available in FIFA Ultimate Team 19. Road to the Final is all about team success, if the team wins or advances at select times during the competition, the player gets an upgrade regardless of their individual performance. The player includes 21 UEFA Champions League Dynamic Items that will be available in packs, for a limited time. In addition, 4 UEFA Europa League Dynamic Player Items will be available through SBCs, throughout the event. All Road to the Final live items start with an in-form upgrade at the launch of the event. From there, the player’s Road to the Final item receives an in-form upgrade each time their team succeeds at select stages during the tournament. A player could receive a maximum of seven upgrades throughout the season! A Road To The Final player does not need to be selected or have played in the game for them to receive an upgrade. Besides that, if a player transfers to a club not playing in either tournament they will no longer receive any upgrades. 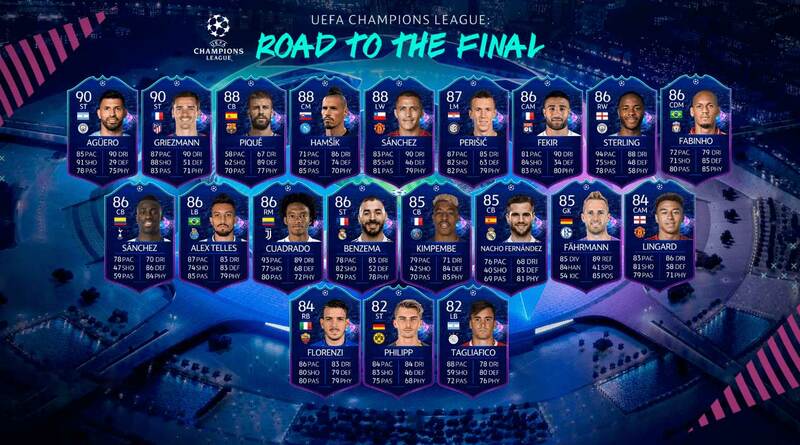 The Player Item will be updated to a UEFA Europa League: Road To The Final item, they will not receive a +1 OVR upgrade for advancing to the Knockout stage but will continue to recieve upgrades if their club advances to the other stages of the competition. 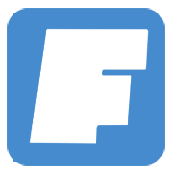 In other hand, if a player gets knocked out of either tournament they will no longer receive any upgrades. In case you needed an extra reason to be excited about the Champions League, you have it now. Track how the world’s biggest clubs do in their journey for European glory with an all new Ultimate Team twist. The Road To the Final begins now!